Butterfly Reflections, Ink. 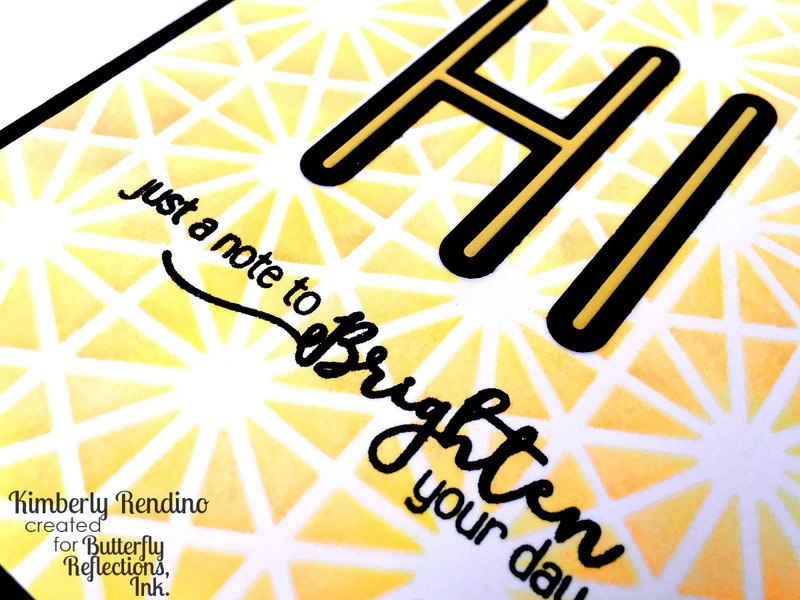 : A Note To Brighten Your Day! A Note To Brighten Your Day! Hi there! It's Kimberly, from Kimplete Kreativity, here with you today with a super happy card using supplies from Neat & Tangled, Waffle Flower Crafts & Sugar Pea Designs! I created my background by blending each of the shades from the Hero Arts ombre ink pad onto the hexastar stencil, beginning with yellow towards the center of the stars and gradually adding color so the orange is on the outside. I die cut the 'HI' twice, once from black and once from yellow-orange. I adhered both cuts to the center of the card. These new dies from Waffle Flower are the coolest - you can use them in so many different ways - the die even cuts awesome holes around the letters if you'd like to use them that way (I set aside that piece for another card). I heat embossed the sentiment, from the 'Whatever the Weather' stamp set, underneath. I adhered the panel to a piece of black cardstock, and then to my card base. 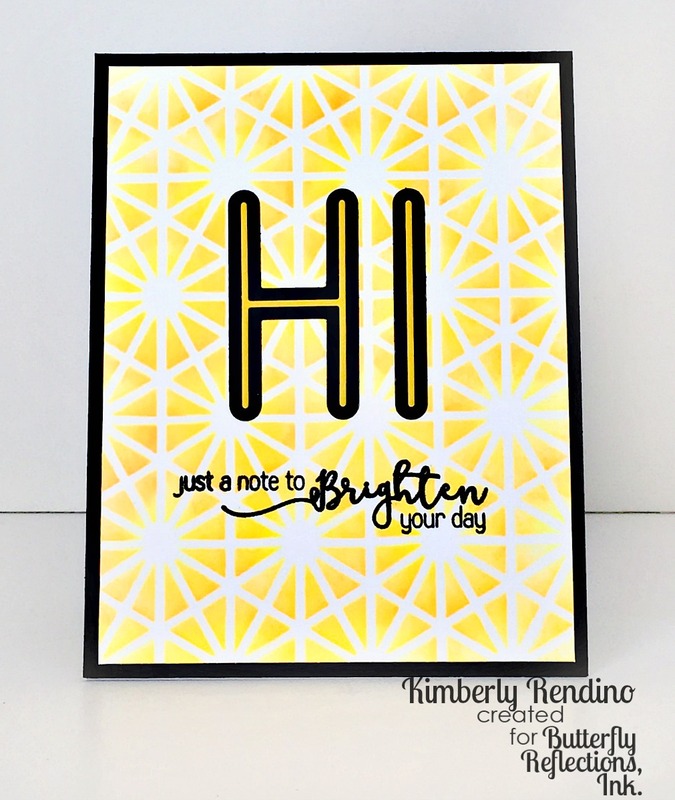 I love how bright and cheery this card turned out! It's sure to brighten someone's day, just as the sentiment says! Have a wonderful week - I'll see you again next Wednesday!